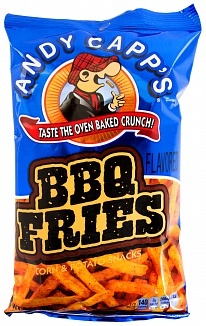 Crunchy oven baked BBQ Fries from the popular American snack brand Andy Capp's. 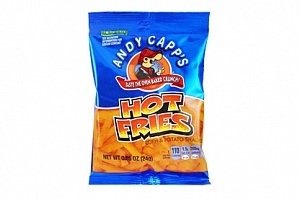 Andy Capp's Fries are designed to look like french fries, but crunch like crisps. These are very similar to Chipsticks but they come in a range of impressive delicious flavours you won't find in Chipsticks. 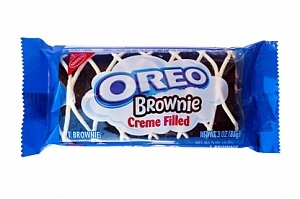 A powerful flavour punch in every crunch! 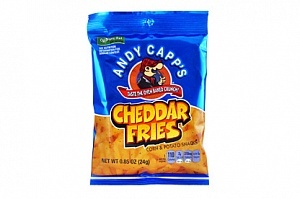 Andy Capp's Fries are also available in Cheddar and Hot flavour! 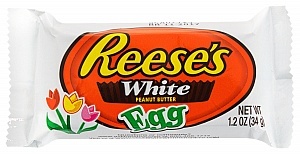 Degerminated Cornmeal, Vegetable Oil (Palm Oil, Cottonseed Oil), Dried Potatoes, Sugar, Maltodextrin, Salt, Dextrose, Spices, Molasses Powder, Tomato Powder, Onion Powder, Yeast Extract, Paprika, Garlic Powder, Citric Acid, Natural Smoke Flavour, Colour (E160c), Whey Powder (from Milk), Preservative (E222), Antioxidants (E319, E320, E321).